The title for this book suits it well. 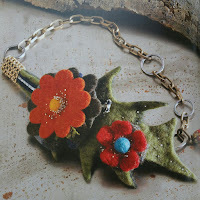 It shows techniques and projects for expert jewelry makers that use mixed-media. 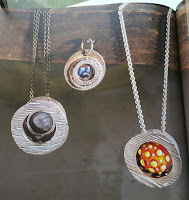 Some of the jewelry creations in the book MUST have been created by an architect. They are truly awe inspiring! My favorite item is on the cover of the book, the Riverbed Bracelet, but I also love how McKinnon used felt in the Felt Leaf Necklace, and her use of metal clay in the Treasure Boxes. Sure there are a few items in the book that are not my favorite, but that is the case in a lot of books. This book has both diagrams and real pictures to show the steps to make the creative items. 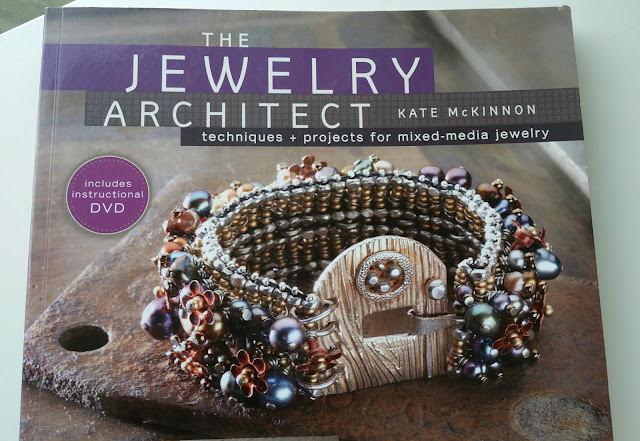 I would have liked a little more step-by-step pictures because trying to follow the directions for some of the bracelets without all the pictures was rather confusing, but this book makes up for it by including an instructional DVD. Thumbs up for this! 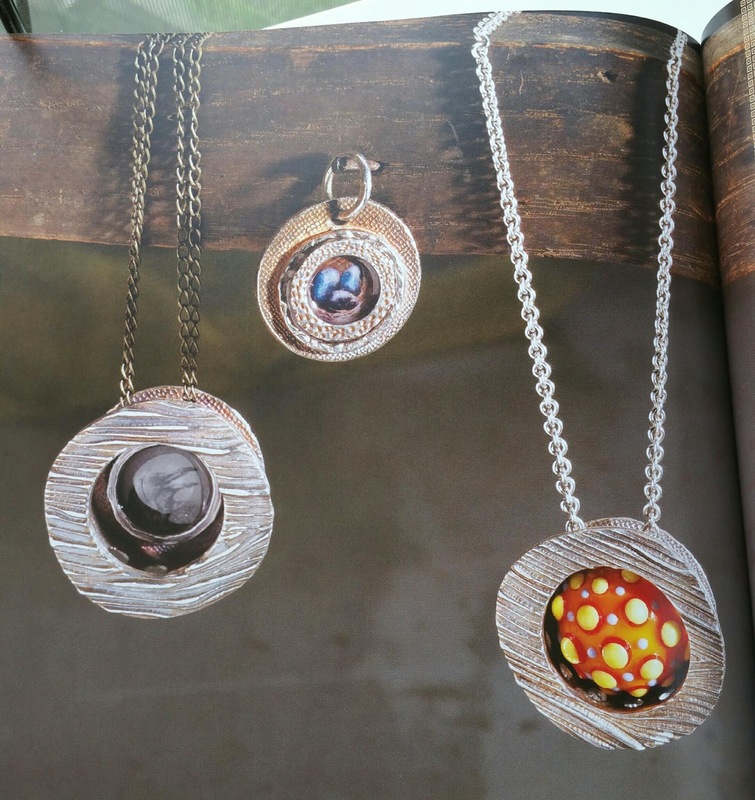 The artist and author included a picture gallery of some of her own collection of jewelry. These are really interesting and definitely different. She also included a basic skills section in the back of the book. This section covers beadwork, wirework, metal clay and metal smithing, riveting, drawing a bead and fusing fine silver. Again, I felt that some parts left some essential instructions out, the metal clay area in particular and explanations on how to place the removable ball-end clasp (pg. 12-13). But overall, I would love to buy this book and attempt any of the beadwork cuff bracelets, since I love those!